Environmental Science, a business unit of the Crop Science division of Bayer, named Burgess Perry as its new head of marketing for Environmental Science North America. In this role, Perry is responsible for leading the marketing initiatives of the business unit for the U.S. and Canada, focusing primarily on the needs of customers in the markets it serves, including turf and ornamentals, vegetation management, professional pest management and vector control. Most recently, Perry served as director of marketing excellence for Crop Protection and Seeds in North America. Throughout his more than 27 years of experience at Bayer, Perry has worked across regional and global teams to identify key customer insights and elevate marketing activities to deliver positive customer experiences. Prior to Bayer, Perry held positions with Aventis and Rhone-Poulenc Ag Co. He earned his bachelor’s in mechanical engineering from North Carolina State University and a master’s from Washington University in St. Louis. Orbit Irrigation Products President KC Ericksen has retired. He will continue to serve on Pro-Mark’s board of directors, the holding company of Orbit and Hydro-Rain. The board of directors has elected Stuart Eyring to be the next president of Orbit and to continue as president of Hydro-Rain, a position he has held since 2006. Eyring was serving as COO of Orbit at the time of his appointment as president. Named president and CEO in 1985, Ericksen led Orbit to become the worldwide leader in manufacturing and supplying innovative water conservation products. Under Ericksen’s leadership, Orbit has expanded globally to five continents and 40 countries, accumulated more than 100 patents and trademarks and built relationships with retailers throughout the world. Eyring joined Orbit in 2005 as executive vice president of product development and marketing and transitioned to COO of Orbit in 2014. Prior to Orbit, he spent more than a decade at Ford Motor Co. as a member of the marketing leadership team where he served in roles throughout the world, including the U.S., Asia and South America. Eyring has an master’s from The Wharton School and a bachelor’s in finance and Japanese from Brigham Young University. 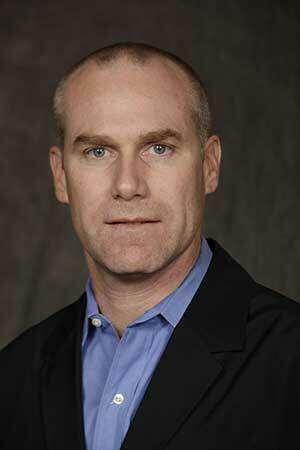 Additionally, Orbit appointed Paul Archibald president of Pro-Mark. He will also continue as CFO for all Orbit and Pro-Mark entities. Archibald began his career at the accounting firm of KPMG and soon transitioned to Orbit and Pro-Mark where he has been responsible for leading the transformation of financial systems and business analytics. Mitch Lord was appointed chief marketing officer and will continue as executive vice president with expanded responsibilities for sales, marketing and new business development activities across all channels globally. Steve Slater will continue in his role as chief administrative officer. The Davey Tree Expert Co. promoted Jeremy Lewis to senior regional safety specialist. Lewis joined the company in 2003 as an arborist for Davey’s East Denver residential/commercial office and worked his way up to crew leader. In 2013, he joined the corporate safety department and was promoted to western regional safety specialist. Lewis is a 2004 Davey Institute of Tree Sciences graduate, Davey’s flagship training program, International Society of Arboriculture Certified Arborist, ISA Certified Tree Worker Climber Specialist and a Tree Care Industry Association Certified Tree Care Safety Professional.